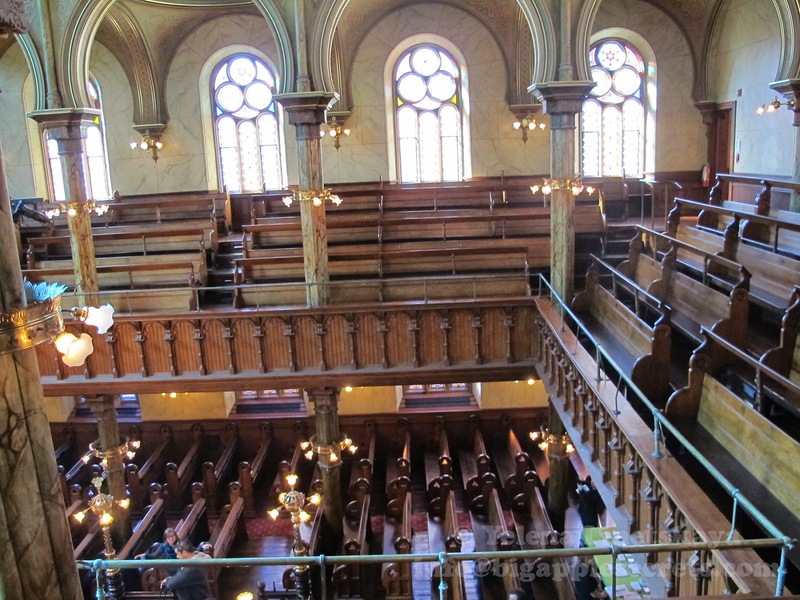 Tucked away in lower Manhattan, in the middle of the hustle and bustle of Chinatown, there is a beautiful synagogue that served the large Jewish community that came from Europe in the 19th century. 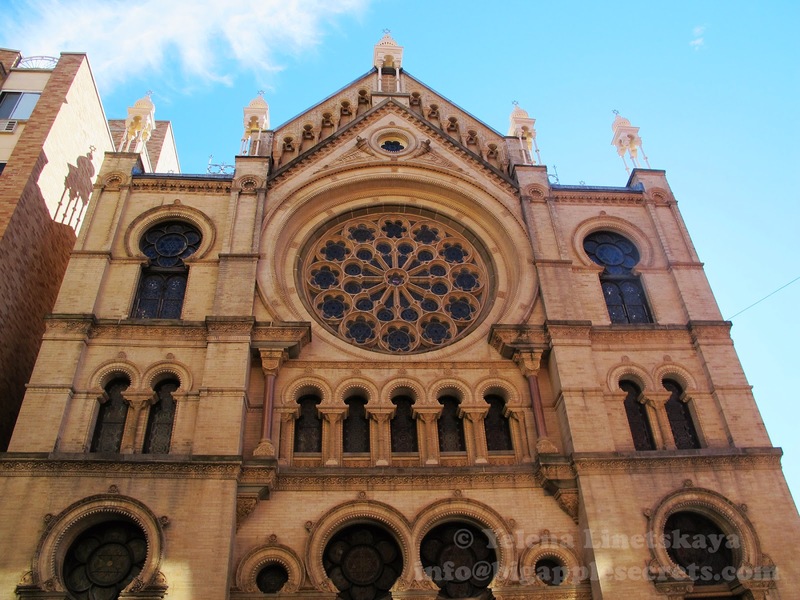 The Eldridge Street Synagogue is one of the first synagogues erected in the United States by Eastern European Jews. Between 1880 and 1924, two and a half million East European Jews came to the United States. Close to 85 percent of them came to New York City, and approximately 75 percent of those settled initially on the Lower East Side. The Eldridge Street Synagogue opened its doors at 12 Eldridge Street on September 4, 1887, just in time for the Jewish High Holidays. Hundreds of newly arrived immigrants from Russia and Poland gathered here to pray, socialize and build a community. It was the first time in America that Jews of Eastern Europe had built a synagogue from the ground up. The synagogue was built with the support of successful Eastern European immigrants who could afford major contributions to its initial $92,000 cost. The synagogue even paid for the distinguished Russian cantor to move to New York and lead the congregation. The synagogue’s architects were two little-known German brothers named Herter, who also built tenements and lofts in the neighborhood. The building reflects a mix of Moorish, Romanesque, and Gothic influences, with 70-foot vaulted ceilings, stained-glass windows, intricate carvings, and trompe l’oei murals. "Trompe l’oei " is French word for “trick the eye,” used to mimic the appearance of something three-dimensional. Faux finishes were used to make walls and columns look like marble. For almost forty years, the synagogue flourished. Men and women came in their finery, and mounted policemen patrolled the crowds. By 1910 the neighborhood of the Eldridge Street Synagogue contained half a million Jews, one of the largest Jewish populations of any city in the world. Immigration Act of 1924 was signed into law on May 26, 1924. The act established a quota system that limited immigration from southern and eastern Europe (primarily Jewish and Slavic). By the 1920’s, nearly one-third of the American population consisted of immigrants and their families. Between 1880 and 1924, approximately two million European Jews entered the country. In the year after passage of the new immigration law, fewer than 10,000 European Jews were able to enter on an annual basis. This act and a Great Depression affected the congregation’s fortunes. From the 1940s on, the main sanctuary was used less and less. By the 1950s, a depleted but stalwart congregation could no longer afford the repairs needed to maintain the building, or even to heat its sanctuary, and met in the street level chapel. In the 1970s and 1980s, the congregation still prayed in the street-level chapel, but the building itself was in disrepair. Hoping to preserve and ultimately restore the building, the journalist and preservationist Roberta Brandes Gratz and attorney William Josephson incorporated the not-for-profit, Eldridge Street Project (renamed the Museum at Eldridge Street). 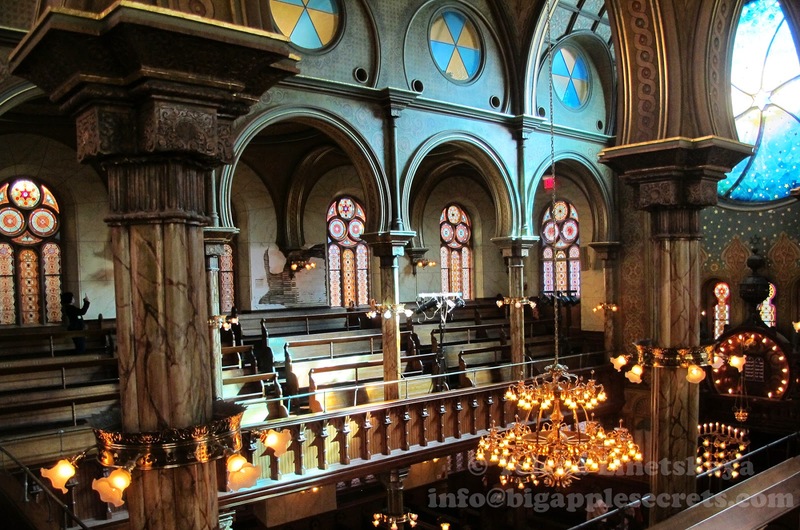 The Museum completed the Eldridge Street Synagogue restoration in December 2007, the synagogue’s 120th anniversary. 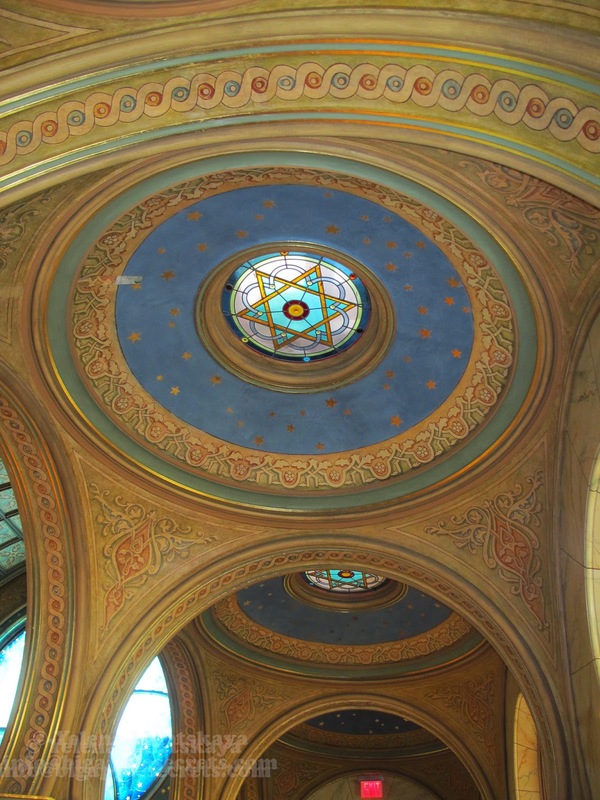 in 1997 the Synagogue reopened after a restoration that took 20 years and cost $20 million. A radiantly modern east rose window was installed in 2010. 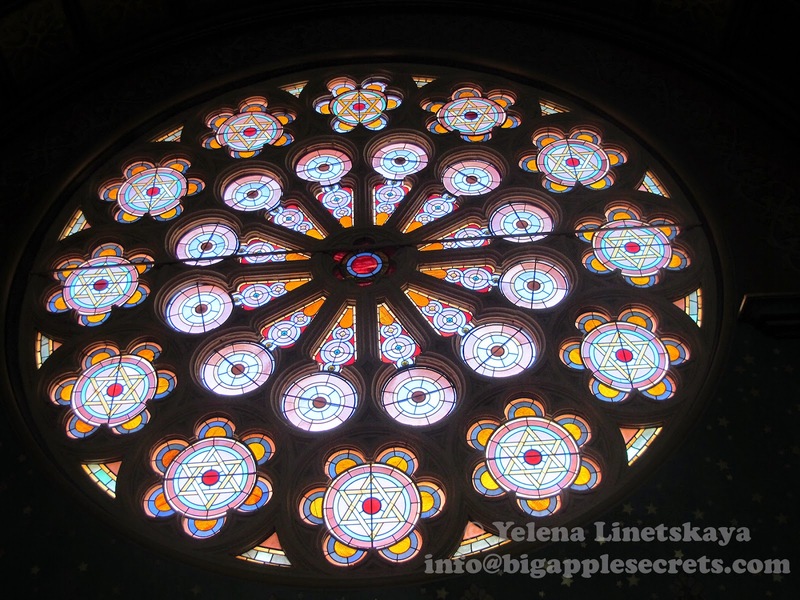 A Rose window, the gothic architectural feature, usually associated with Christian cathedrals, is a very uncommon element of synagogue. 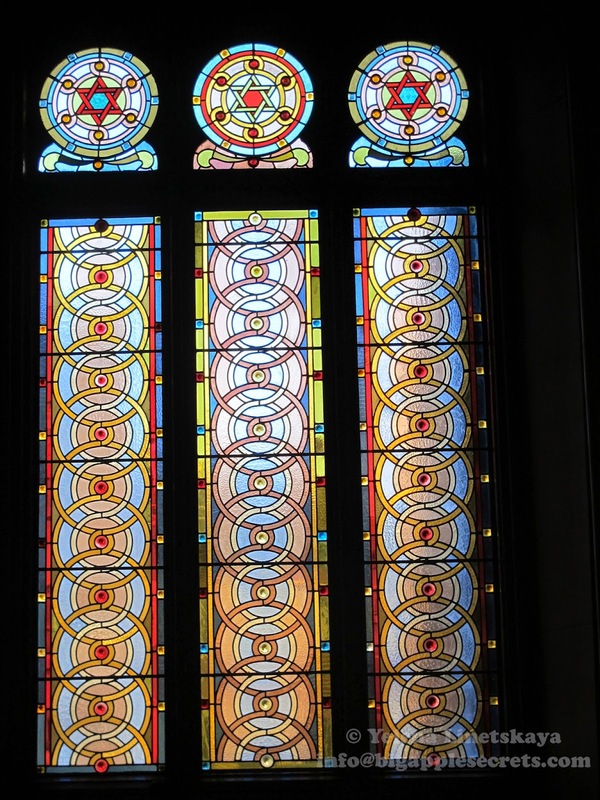 It was borrowed by the synagogue’s architects, recent German immigrants. 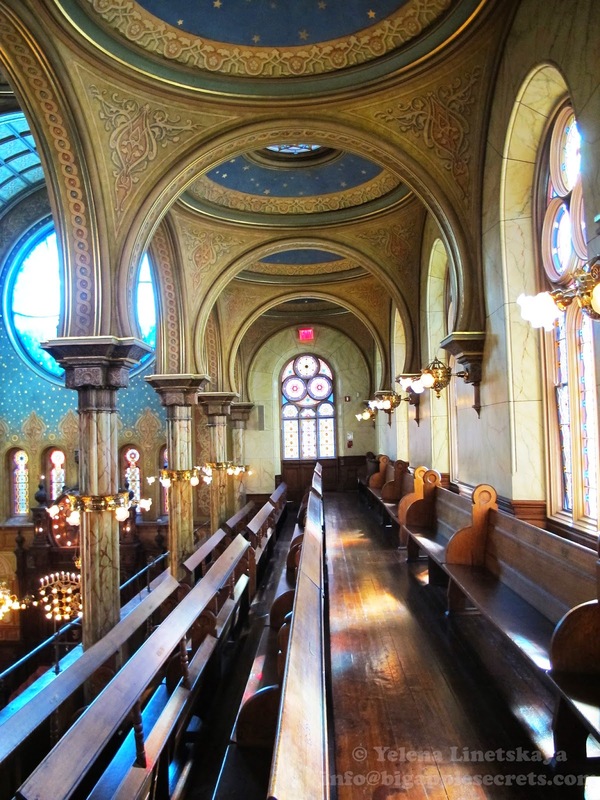 Today the Eldridge Street Synagogue is home to the Museum at Eldridge Street, which welcomes people from around the world for tours, school programs, concerts, lectures, festivals and other cultural events. The small Orthodox congregation of this Synagogue has never missed a Saturday or holiday service in the more than 120 years since the synagogue first opened. The museum now receives 40,000 or so visitors a year. Museum works Sunday – Thursday from 10 am to 5 pm, and on Friday from 10 am to 3 pm. Synagogue tours are offered on the hour (10, 11, 12, 1, 2, 3 & 4). Monday is a free day to visit the museum.